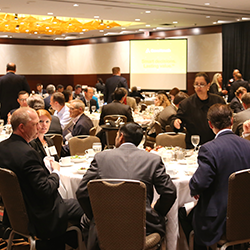 The 8th Annual Healthcare M&A Conference presented by ACG Chicago brings together Private Equity Funds, Investment Bankers, Lenders, Executives and Other Deal Makers at the Swissotel Chicago on June 21. Join Healthcare experts as they address these influences and how to take advantage of value creation investment strategies while avoiding pitfalls. The conference’s healthcare leaders address these influences and how to take advantage of value creation investment strategies while avoiding pitfalls. Industry specialists from the legal, investment banking and lending industries also provide their insights on transactions. Now in its 8th year, the ACG Chicago Healthcare conference is the premier event for seasoned industry veterans and newcomers alike. Investors & investment banks can reserve meeting tables and have a dedicated meeting space throughout the conference coupled with the PitchBook App showing attendees and fund information to easily identify these professionals and their interests, in order to drive more deal flow. This 8th Annual Healthcare M&A conference will be held June 21, 2017 at the Swissotel Chicago, 323 E Upper Wacker Dr, Chicago, IL 60601. Those interested in attending the conference can find more information about the program, speakers and register by clicking http://2017HCDeals.com. ACG Chicago is a leader in the Association for Corporate Growth (ACG) global network of over 14,500 professionals. ACG Chicago is the premier network of leading authorities on corporate growth. The Chicago chapter boasts a membership of 1000 foremost authorities who form a diverse and knowledgeable network of corporate executives, capital sources, and key advisors that all share a strong commitment to leadership in the field of strategic corporate growth and to building stakeholder value. The ACG Chicago Board of 20 dedicated members along with almost 100 other committee members focus on the needs of these professionals to build unparalleled opportunities for networking, deal-making, personal growth and professional development. ACG Chicago provides unique access and unparalleled opportunities through local, regional & national events, publications and specialty networks, including operating the MBDA Capital Center for the Department of Commerce. Visit http://www.ACGChicago.com for more information or call 877-224-6389.